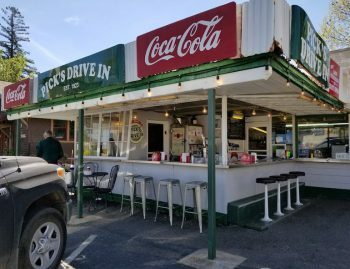 I’ve traveled extensively throughout many parts of the United States of America over the past years and I’ve been fascinated by the number of classic cars, muscle cars, vintage cars, barn finds and classic trucks wherever I travel. Each car, truck, motorcycle has a story to tell. Decades of stories in fact because many classics and rare finds are usually 20 years or older. Hotridesusa.com is keen to present as many vehicles and motoring artefacts and collectibles as we can find, and we welcome you to share your pictures and stories too. Sometimes we’ll post a quick snap of something rare and unusual without a story, other times, if we can source the owner and some information of the particular classic American auto, we’ll publish some information. I have been a car enthusiast all my life. My father and mother owned a gas station and parking lot in the center of downtown Brisbane, Australia. Growing up in the 1960s was the time of many famous marques from the USA. The V8 Mustang hit the local motor racing circuit of Lakeside in 1966 with Norm Beechy, Pet Geoghan, and Bob Jane lapping the previous year’s series winners, the mighty Mini Cooper S and the Ford Lotus and GT Cortinas. Luxury cars like the Ford Thunderbird, Chevrolet Belair, and Pontiac Parisienne were frequent visitors to our parking lot. These were owned by wealthy managers and business owners in Brisbane, Australia. 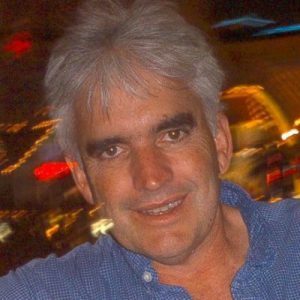 All imported and spectacular in their size, luxury appointments, and standards of finish, and in Australia, all had to be converted from left hand drive to right hand drive. 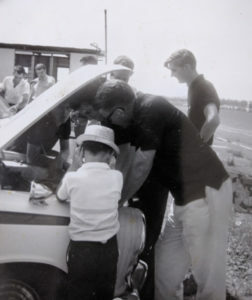 The author, the 6 year old with his head under the hood of his father’s Ford Lotus Cortina touring car as it was about to race at Lowood Motor Racing Circuit near Brisbane in 1965. That’s me again, on the right. 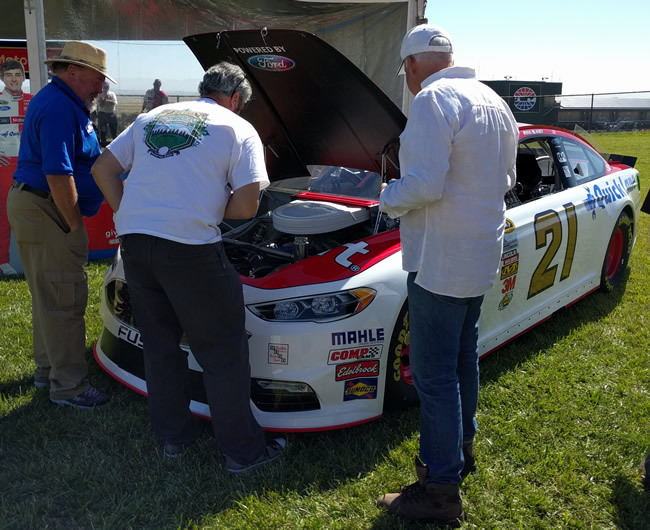 Still gazing under hoods of race cars 51 years later at Sonoma Raceway’s NASCAR race in 2016.